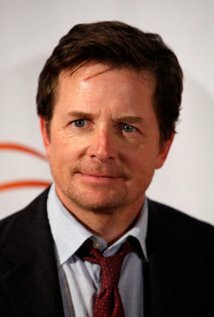 Michael J Fox Leads The Way . . .
Parkinson’s, a neurodegenerative disease as we know is a progressive, incurable illness. It brings with it impaired balance and coordination, marked by trembling hands, arms, legs, face and stiffness of body. Back in 1998, Michael J. Fox announced he was diagnosed with Parkinson’s seven years earlier at the age of 30. Long before 1998, Fox’s quick wit and charm brought him fame for his acting in the TV show Family Ties and the Back to the Future films. Having Parkinson’s eventually led to Fox’s admission that the disease had become too unmanageable. He had previously been able to minimize his symptoms, giving thanks to surgery and medication. And here is where Michael J. Fox is leading the way for any of us diagnosed with a progressive illness. What we know is that it’s somewhat common for a medical diagnosis to result in a change in our everyday lifestyles. No one ever wants to hear they have an illness today that can be expected to worsen with time. We were looking forward to a future with anticipation and hope and that seemed to change almost within a single moment. One day we hear that the troublesome symptoms we’ve been having now have a name. Whether it’s “Parkinson’s”, or “MS”, or “Diabetes” or “Cancer”; our symptoms now have a name. And how we deal with our mindset going forward may well dictate how we relate, or not relate, to the rest of our universe. My own accessible travel journey began with an invitation to speak to Parkinson’s support group. As I had created a handbook on accessible travel opportunities, a young lady had discovered my publication and bio on-line. She asked if I would be willing to speak on accessible travel to a group of 40 to 50 people that consisted of Parkinson patients and their caregivers. We’re aware of medical research done on patients that have some of the most serious physical illnesses (strokes, cancer, heart conditions, etc.) that shows they’re also dealing with depression. And our ability to cope with our newly diagnosed illness can be impacted dramatically by our mental outlook. There are multitudes of stories of patients eventually adapting to their physical illness but they’re unable to recover from the lingering depression. Let’s get back to Michael. He eventually came to the acceptance of his Parkinson’s. He asked himself at a certain point “what’s the risk, that people will judge you?” People are already judging you any way. He asked himself why be restricted in my life? “You have to take your time and do what you need to do. But when you arrive at a place where you are no longer judging it, where there’s no good or bad or right or wrong and it just is what it is, you accept it” Michael said. Let’s fast forward to today. Michael J. Fox is now a guest star on the popular CBS show The Good Wife as an attorney with Parkinson’s. Back in 1999, Fox appeared before Congress when he spoke without medication so that people would see the effects of the disease. Then in 2000, The Michael J. Fox Foundation for Parkinson’s Research was created. Today, Michael’s struggles with his illness have been turned into a gift for millions of Parkinson’s sufferers. My own accessible travel journey began with an invitation to speak to a Parkinson’s support group. As I had created a handbook on accessible travel opportunities, a young lady had discovered my publication and bio on-line. She asked if I would be willing to speak on accessible travel to a group of 40 to 50 people that consisted of Parkinson patients and their caregivers. What I learned next is probably the most valuable lesson I can offer anyone with any form of impairment or disability that used to travel but has stopped completely. My epiphany occurred when I simply asked if the members of the support group I was speaking to were having any difficulties with their travels. What I heard next was a universal “yes”, it seems that everyone in the group had basically stopped traveling completely! Since my work life involved helping people file disability claims, I discovered there were a multitude of variations in the severity of Parkinson’s. I learned there were folks with the symptom’s that initially lead to a specific (Parkinson’s) diagnosis all the way to those who were seriously impaired and had become totally disabled. It seems that the initial diagnosis was a primary factor in stopping their travel. Possibly an assumption was made that continuing to travel would be too much to deal with. In wondering what had transpired, there was no way to know whether a conscious or subconscious decision to stop traveling had been made. I wondered whether it was fear of the unknown, or possibly assuming “it” (travel) would be too much to handle. Was there possibly an apprehension about being away from their doctors or treatment facilities? Or was it just fearing the unknown? Another option I pondered had to do with how many of us feel more comfortable with familiar surroundings. We’ve all heard the expression “creatures of habit”. For most people, we know that “home is where the heart is”. More than being heartfelt, our homes are where we’re most comfortable. Familiar surroundings almost automatically brings us a sense of comfort. Don’t we all have our favorite restaurants? I know for me that there’s at least three different routes I can take to drive to my office, all about the same distance yet I have to make a conscious effort to change my route. Returning to my Parkinson’s support group experience, each member came with a spouse, parent or friend who were caregivers. I asked the audience for a show of hands of those who had Parkinson’s. I then asked the caregivers if it was upsetting that the vacation trips had stopped. There was universal acknowledgement. I should take a moment to explore the role of caregiver as I’ve been “there”. I fully understand it can be most upsetting watching a loved one facing a downturn health wise. My own experience tells me there’s no way a caregiver can fully appreciate the impact of diminishing health. Yet it’s imperative that caregivers recognize and accept that their partners may tend to be “absorbed” with their misfortune. Point being, they may be less considerate of your own situation and feelings than prior to their changes in health. The most relevant point I want to make is that if you’re the one who is becoming more frail due to a compromised medical condition, please remember to consider to note the impact on your life partner who’s no longer joining you on vacations. There’s certainly nothing wrong with feeling the impact of your newly diagnosed medical condition. And “yes” it’s certainly understandable to be somewhat self-absorbed. But keeping the lines of communication open is imperative. An appreciation of your healthy partners changes in lifestyles are in order. And together you can research an accessible vacation you’ll both enjoy. Thank you so much for making people aware of his efforts. They have benefitted many people with Parkinson’s.